of Maine and three years of experience teaching Social Studies to academically gifted and highly motivated students at Hillside School in Marlborough, MA, an independent boarding school. All of her references stated that there was a significant loss among students, parents and administrators at Hillside School when she transferred to NC to be with her husband. 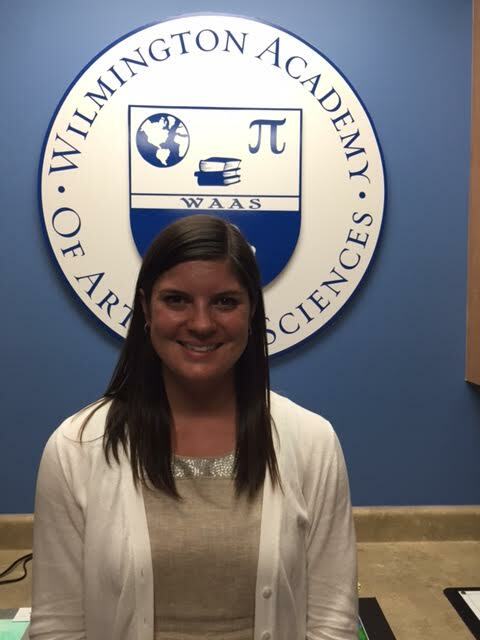 Mrs. Keating is attracted to WAAS because of our core principles and mission. She finds our themes aligned with her professional and personal philosophy. She prefers working with a small, close knit community and is looking forward to providing unique and exceptional academic experiences for our middle school students so they may grow, flourish and be better than prepared for high school. Mrs. Keating’s husband has recently been stationed at Camp Lejeune, and they live in Sneads Ferry. She is not worried about the daily commute as both of her parents commuted for their work, and she has already found a short cut! Being a Canadian citizen, Mrs. Keating competed as a Division 1 Track and Field athlete while attending the University of Maine for her BA degree (GPA 3.97). Mrs. Keating is bringing many talents and experiences to WAAS, and she is looking forward to working with our students, teachers and parents. She plans to begin working on her web page and she will post a list of supplies by the middle of July. I hope to make an announcement next Tuesday for our Spanish position.